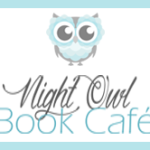 Welcome to the Book Blast for Twilight Over Moldavia by Stephanie Burkhart. Stephanie will be awarding a $10 Amazon or B/N GC to a randomly drawn winner via rafflecopter during the tour. Follow the tour by clicking on the banner image above and comment; the more you comment, the better your chances of winning. Romanian unification is on the horizon and the spirited Crown Princess of Carpathia, Caroline, would prefer to ride horses and archery to embroidery and dancing. Complicating her life is her recent discovery that she’s a witch. Upon Stefan’s engagement, he overhears his mother confessing to a horrible secret – she cursed him in order to conceive him and Stefan will become a werewolf when he turns eighteen. There is a condition to overcome the curse, but it will require Stefan to draw on all his inner strength and Caroline, her courage. Can they break the foul enchantment and secure their future or will Stefan give himself over to the lupine curse that haunts his family? He ground his teeth and tugged her so close her lips crushed against his. His manhood pressed her thigh, and it thrilled her. Yet she was afraid. Is this how it was for a married couple? This insatiable craving that couldn’t be tamed? A howl broke through the night air, shattering the intensity of the moment. Wood cracked, and she glanced at the old wooden gate. The hinges snapped, and the door flew off its frame into the courtyard. Two men walked through, their yellow eyes giving away their presence in twilight’s gray shadows. She sat up and adjusted her dress, not prepared to abandon the man who had given her such pleasure. A powerful connection existed between her and Stefan. She wouldn’t turn and run at the first sight of danger. A bright light rose in the air and quickly flamed out. No way could Michael miss it. They needed his help. Stefan pounced on Juris, and the two of them tumbled over each other. Caroline was unsure what to do next. Timon crossed his arms as Stefan and Juris fought. Juris forcefully shoved Stefan away, and he struck his head on the wooden barrier. His eyes glazed over. Stephanie will be awarding a $10 Amazon or B/N GC to a randomly drawn winner via rafflecopter during the tour. Follow the tour by clicking on the banner image above and comment; the more you comment, the better your chances of winning. I love giveaways like this! They’re great for discovering new books and authors! Sounds very intriguing. Great cover! Thank you so much for having me here today. Halloween just passed and I dressed up as a Whoopie Cushion at work. 🙂 Question for all: What do you do with your leftover Halloween candy? Witch, werewolf…coming of age in Moldavia has never been easy.